Cheesy Green Chile Egg Casserole is the perfect brunch recipe! It’s got lots of cheese and some spice from green chiles; this recipe is a family favorite! If you’re looking for an easy egg dish for brunch, this recipe is for you. It comes together in minutes is a great casserole for any meal or gathering. It’s probably the easiest egg dish you’ll ever make! As you might remember, I turned 40 a few months back. 40 is just a number and I’ve always said that age is how you feel. All I know is that I like 40 a helluva lot better than I liked 30, that’s for sure. However, with an increasing number come new things. New tests at the doctor, new appreciation for a 20-year-old metabolism, and now…glasses. Guys, I got reading/computer glasses for the first time. I’ve always had perfect vision…but now the doctor says I need a little help. Nothing makes you feel 40 like having to get reading glasses, am I right? I just picked them up the other day, so they’re still super new. I definitely notice a difference with and without them, and the hope is that I’ll have less eye exhaustion. It was funny actually, I’d known I should make an appointment just for a baseline exam (the last time I got my eyes checked I was 12) but I took Jordan in for her allergies and I was doing her test with her just for fun. The second I covered my right eye I was like Oh, wow, I think I should make an appointment…and now I have a cute pair of reading glasses I’m trying to get used to without getting vertigo. Something easy to get used to? This egg casserole. 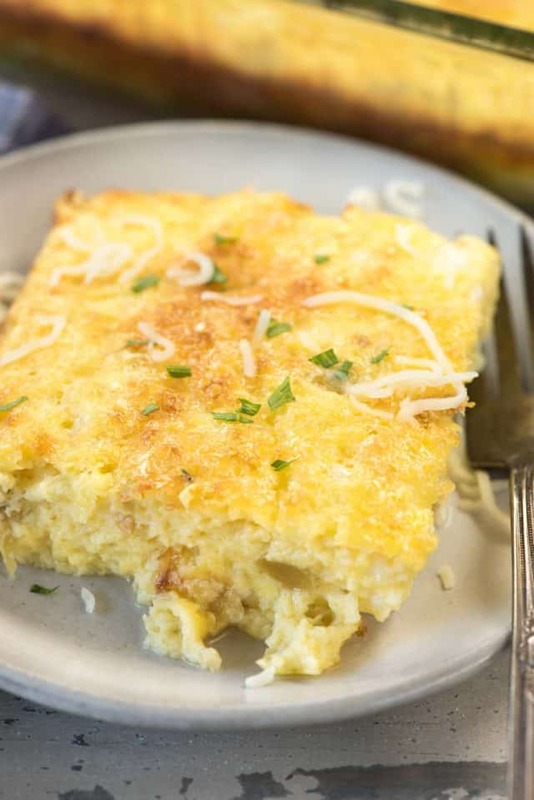 It’s full of cheese and diced green chiles so it’s the perfect brunch baked egg dish. We make this for every holiday! You might recognize this casserole because it’s a variation of my Cheesy Egg Casserole I posted earlier this year. I actually had this one first, and that one is a riff on this one. Does that make any sense? Years ago I had these baked eggs at a mom’s club event. I had been looking for the perfect egg casserole recipe and the second I tasted it I knew I’d found it. My problem with a lot of egg dishes out there is that there is bread or potatoes or something in them, besides just eggs. 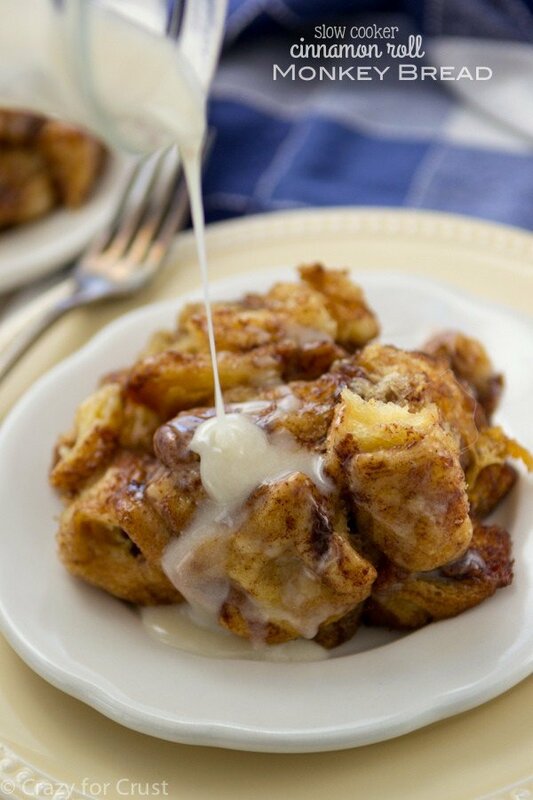 Those casseroles are great but when I’m making Christmas or Easter brunch I’m also making cinnamon rolls or monkey bread or some sort of sweet pastry. I don’t want bread in my eggs and sweet carbs too. This recipe is just eggs and cheese, with some flour for binding and baking powder to help it rise. The base of the recipe is super simple to make and it’s easy to flavor it any way you like. In my old recipe, I used Italian seasonings and mozzarella cheese. This version has a more Mexican or Tex-Mex flare by using jack cheese and diced green chiles. No matter how you make it, it’s everyone’s favorite egg dish. It disappears fast on Christmas morning, that’s for sure. And my kid, who’s not a huge egg fan, often asks me to make it on just regular mornings. That says a lot, don’t you think? Green Chile Egg Casserole is a easy cheesy egg bake recipe for brunch! With just about 10-15 minutes of prep time, this comes together fast. That’s what makes this the perfect brunch dish, because who wants to stand in the kitchen cooking while everyone else is visiting, having fun, and drinking mimosas? 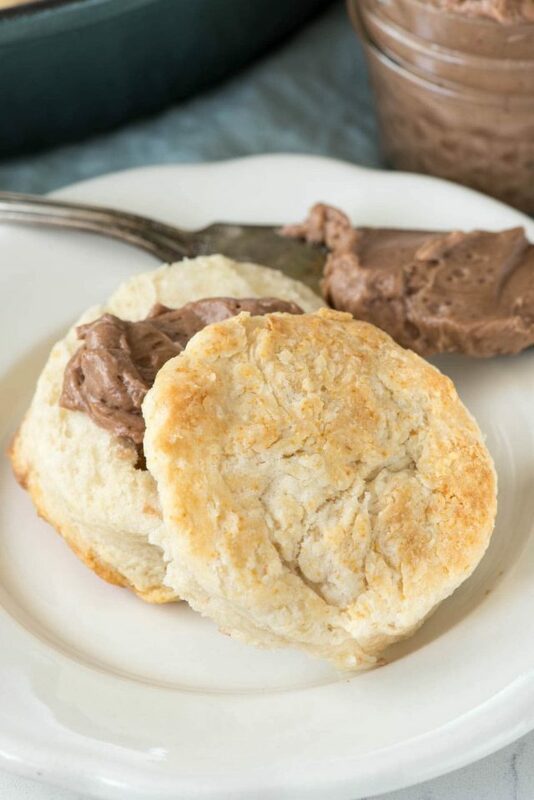 If you’re looking for an easy holiday recipe, add this to your list. Be sure to use fresh eggs. I love using cage-free organic eggs; I feel like they taste better than the cheaper brands. But use what you like! I know the cottage cheese seems weird. I don’t like cottage cheese plain, but in this you can’t even tell. It ups the protein factor and flavor and you won’t even notice it. This is easy to flavor however you want: use the spices and cheese flavors you like. I used regular diced green chiles but if you want a kick, use the hot! This is great served fresh and warm, of course, but if you have leftovers place slices in sandwich sized bags and freeze them for easy reheating. Cheesy Green Chile Egg Casserole is the perfect brunch recipe! It's got lots of cheese and some spice from green chiles; this recipe is a family favorite! Stir together butter, cottage cheese, jack cheese, flour, baking powder, chiles, and salt. Whisk in eggs and whisk until combined (mixture will be lumpy). 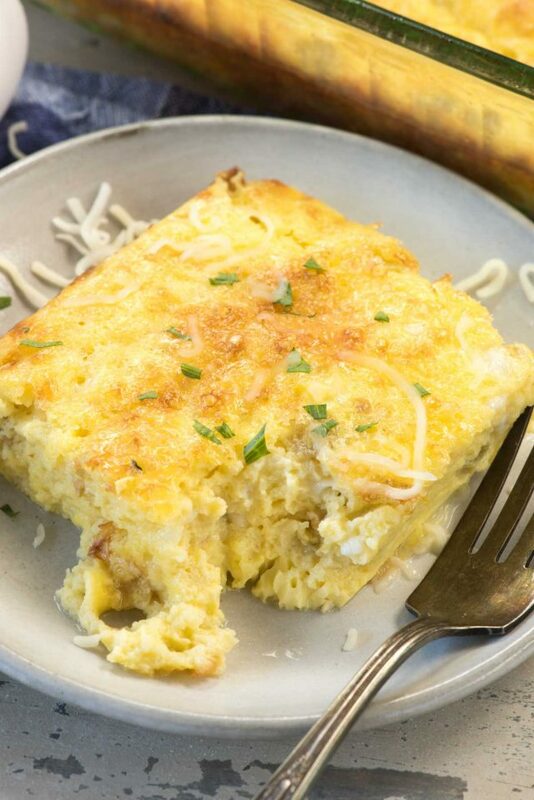 If you love making egg casseroles for brunch, be sure to try Maria’s Spinach Artichoke Egg Casserole and Becky’s Ham and Cheese Breakfast Casserole. 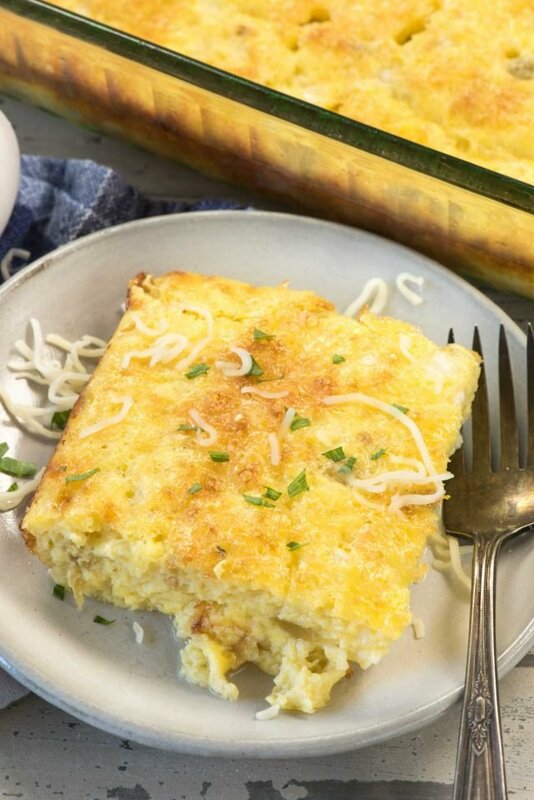 If you love potatoes too, try this easy Egg and Potato Breakfast Casserole – I can’t wait to make that for breakfast for dinner! Dang, this recipe has me missing New Mexico (I used to live there) where it’s all green chile, all the time! This looks so cozy, perfect for this cold philadelphia day! Its MY favorite recipe. And THIS version, THE BEST/original!!! I did a variation that makes it EVEN better. I put in the diced green chili’s..not the whole can, but then I use the WHOLE green chili, prepared and sliced in half and lay them side by side and then you have a good chunk of green chili in EVERY BITE. Sooooo good!!! People make it this way after having ours… BEST RECIPE EVER!!! I love hers because it’s the original and THE BEST!! I saw your reading glasses pic before, you look adorable 🙂 I think my eyes are still fine, knock on wood, I have other issues lol but thankfully not my eyes, yet. This casserole would be perfect right now. Such a chilly morning here! 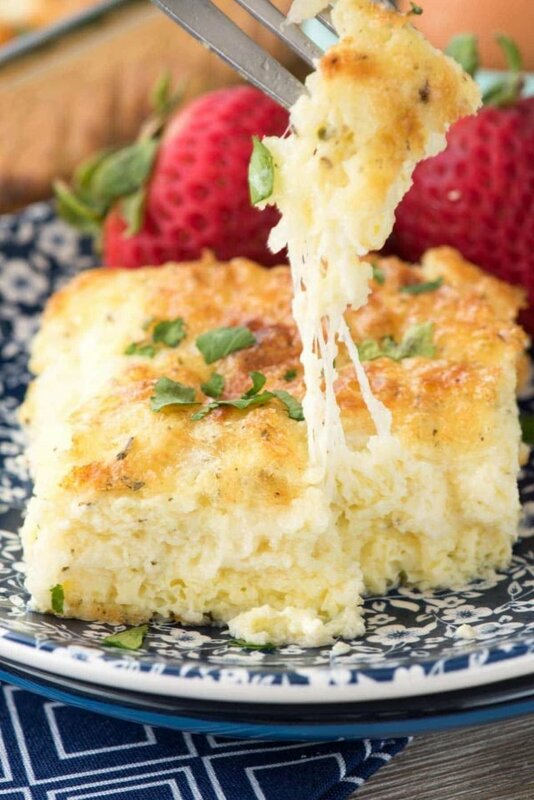 I love savory breakfast casseroles (that probably doesn’t shock you)! 🙂 This looks great… and you look awesome in your new glasses! Welcome to the club! ? Can this be made without cottage cheese? I don’t have any on hand. Would cream cheese work? This casserole is amazing! I doubled the green chilles, but otherwise kept it the same. So good! It was a huge hit with my husband too! I will be making this again and sharing the recipe with fellow breakfast lovers 🙂 Thanks for sharing! Delicious. Used gluten-free flour without any problem. Got rave reviews from all our guests. A couple leftover pieces kept very well for 2-3 days in fridge. Can you mix up Cheesy Green Chile Egg Casserole the night before and bake in the morning? This was a hit with our whole family. I love how adaptable it is. We made it as stated the first time and it was good. To switch it up a little this morning I added a 2 green onions, a small handful of baby spinach and a few tablespoons of diced red bell pepper. YUM!